Wubadubadubdub! Here is the episode 2! 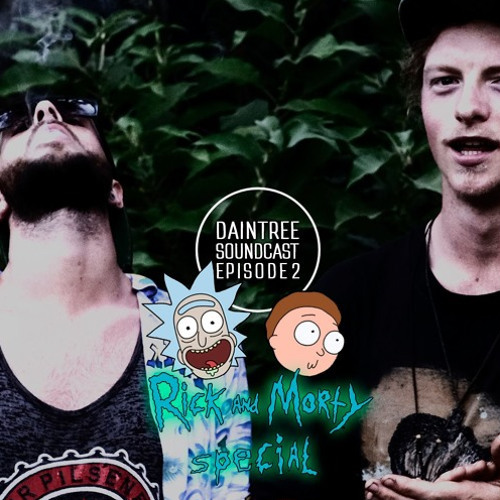 ツ We went a bit shwifty on that one and did our best impressions of Rick And Morty (biiiiig fans!! <3). Enjoy and stay safe kids. Share with your friends and keep in touch, luv u. Tracklist / Gaddy - H.E.R Mefjus - Volition Staunch - Night Bus (Whitebear Remix) Super Glue - Zuk The Kid Super Glue - Zesty (Sicaa Remix) Kyle Watson - Sink Deep Alix Perez - Gully Halves Hyroglifics, Niels Broos & Ripps - Pose The Woo Hoo Revue & Mouldy Soul - Fat Tuesday (Mouldy Soul Remix) Mura Masa - Tough On You (Wvlf Flip) Sicaa - Outer Heaven Malaa x Dombresky - Hostyl Razat - D-worry Razat - Clipping ID? - Into The Void (Get in touch w/ Super Glue) Vctr - Enemies Kll Smth & Mr. Bill - Killiam William Super Glue - Life [Unreleased] * Interview w/ Bird Person - Chinese Restaurant/Szechuan Sauce Sam Gellaitry - Temple Abelation - I Wonder If Windows Can Breathe Aztek - That's A Dead Guy Nuclear Revolt - Level_Up Rokia Traore - Deli (Super Glue Remix) [Unreleased] Daintree Fact / The crocs that live in the Daintree are saltwater crocodiles, where the males can measure between 5-6 meters, and the females come in at 3-4 meters in length. In the Daintree River alone, there are thought to be around 70 adult crocodiles, a number that has increasingly grown over the past 30 years. Saltwater Crocodiles breed during the summer months. They lay their eggs in a compost mound they build themselves and incubate them for around 3 months. The eggs then hatch during the wet season, producing little 20cm long hatchlings that remain with their mother for a few weeks or months after they are born. Magic spell... Enjoy and so crazy!! !